I'm exploring some ideas related to the front entrance and the steel door. I think he ADM sign is related (ok, I know everything is related!) I guess I should say I'm stuck and I think understanding the sign will help. Does anyone have ideas about what it means? ADM could be 144 and the period perhaps multiply: 144,000. But want about the cents symbol? Ed definitely set it on an angle on purpose and so I'm thinking it might represent Saturn. If the periods are to multiply, DROP BELOW makes no sense (to me) and then, there's another period. IF, the cents sign represents Saturn, then drop below must be dropping below Saturn??? In what way? Drop below Saturn within Coral Castle ((Thrown Room) or maybe the planet's coordinates? Any ideas? The ADM sign may NOT go along with everything at the castle after all. Remember, ed left the sign at Florida City. It was moved to homestead by the third owners after ed had passed. But that doesn't mean it isnt important. I can think of three things in this sign that make perfect sense, and the fourth, which you have pointed out (along with Jeremy Stride) which includes the reference to 144. Course, 144 is 12x12, and 12 is the # of perfection and GOD, it also serves that 37 is the 12th prime number, which is also the meaning of GOD, and the signature of GOD. 1 would be a personal theory of mine... that ed was collecting silver. AG make easy... and ed was asking for 1$ in his advertisement, and 10 cents at the gate. At the time, the common dollar was a SILVER dollar, and the common dime was a SILVER dime. Actually 90% silver and 10% copper... which has it's advantages.. if you want more info, google silver and american currency (you may have to research some, sorry my mind is shot from the weed). But, silver is the best electrical conductor, with gold, and I believe it has excelellent UV absorbtion. Soo, if you do a little searching around, youll find some interesting maths about the bible, and ed was all about bible maths. If the theories about heat and vibration are correct, than ed could have manipulated the proper sounds with EMagnatism to do the impossible. Wow, as much as I've read about Ed, I've never learned that this sign was moved when you said poughkeepsieblue. Since you know this, do you happen to have information about the Florida City site? Years ago I read about someone visiting the site (close or maybe even during Ed's time) who stated that they noticed Leyden jars in the quarry pits...in the corners, pointing inwards, but I've googled it to death and it's no where. The Hebrew reference is very interesting as yesterday I was reading about the origin of the six pointed star and that it was used by King Solomon who "laid down the foundation of Craft (Daniel 8:25) which later became known as Freemasonry". I'm about to dig into 'cents'. Is it commonly believed to represent sound (on the sign) ? I'm not sure why I think it might represent Saturn, maybe just because it's tilted. No, typically the sign is not believed to represent sound, as the common theory is the 6 pointed star of solomon, and 144. If thats the case, than you could easily make a case for the flower of life, the vesica piscs, metatron's cube, phi, e, pi, pythagoran triangles, and the squared circle constant... all of which can be found referenced in ed's works. Geometry and math are the language of everything, and ed understood that all too well. As for the sound theory. It just makes cents to me. 144 hz is in the pythagoran scale of music, which is a slightly off key tuning from the 440 hz C we typically tune with. It tunes at 432 hz. 216hz is also in this scale, again 108 hz, and 54 hz, course 54 is ED... so when ed tells us (perhaps) 144, 10 cents drop below, he could be giving us a tuning pitch. Satturn is a reasonable theory. I simply don't have any knowledge of astronomy, at least not enough to guess at the importance of the planets venus earth mars saturn and jupiter in ed's design of things. 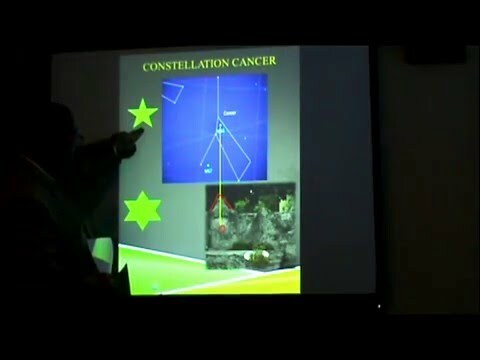 I know there is an importance of these things, with ed's sundial and polaris telescope, but I cant get my head around it. I was watching a video of a guy explaining cents in music and he was moving along a line of music and on the cents he said "go up" (because that was the note). Naturally, when he said that, I'm thinking go down (DROP BELOW)... Thinking of the story of Ed "singing to the stones". Interesting but man, talking about music is like talking Chinese to me...and I don't speak Chinese! "he could be giving us a tuning pitch"-right, that's what I was thinking about Ring Twice on the door. I am even less adept at astronomy but it is definitely key. I personally believe that Ed had an understanding of something that applies to many things. For example, most of his work was done in Florida City, yet so many people concentrate on the flywheel (often with the idea that it was responsible for moving the stones), but I think the principles of his earlier work applies to the working of the flywheel; the root ideas. I personally believe the "secret" is there but in the final works not the equipment. For example, I personally believe he worked at night for privacy but also to work when it cooler and that the "secret black boxes" on the tripods were simply used to assist in preventing the poles from spreading out. I do think alignments and sound and perhaps other things, assist the work after all, I just cannot believe that all the ancient monolithic structures around the world were built to track the sun for farming; one can do that with a stick! I have a video here that shows the basic outline of the shape of the ADM sign. 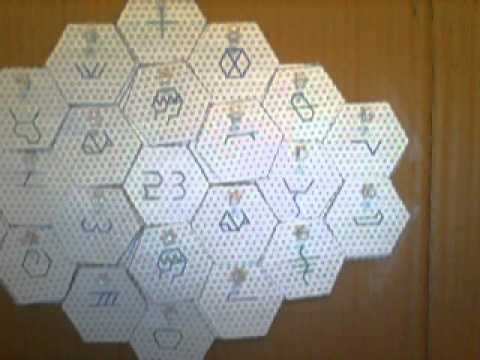 It consists of 23 hexagons and they are numbered in a way that the 23 is the last number added. On either side in every direction of the 23 the product of the 2 numbers is 23. 23 is a very important number in Ancient Egypt as it is the combination of 2 and 3 which is the concept of male and female and the product thereof. the 10 cents reference could be 10% or the typical cents sign looks similar to the Quph symbol which means Sunrise or Sunset and infers Reflection or Opposites. RebuildTheWorld that's very interesting. Much easier to follow the numbers as opposed to the pictures. One thing though, how are/were, the numbers/pictures chosen? The bottom video has some pretty good explanation. The Current Hebrew Letters came from Pictographs. First I discovered that there were Base Patterns such as 2 dashes down,2 dashes across and 2 dashes up. There is 7 of those. There is 6 base patterns of 4 dashes across. And what I did was line them up in an alternating pattern and the Spirit Dancer ended up in the middle and made me think of the Last Supper Painting. I did a video on this also and just have to dig it up. I took away the center pictograph which left 6 of one pattern and 6 of the other. I added those 12 to the outside Circle of 12 Hexagons. And then just lined up the rest of the remainder pictographs keeping them in the order of the current Hebrew Letters. And Viola ! The Pattern Emerged. 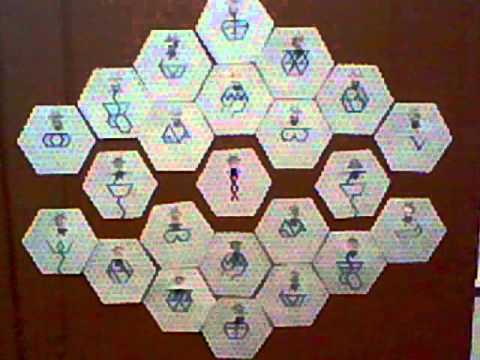 There is 10 Hexagons Above the 3 Middle Hexagons and also 10 Hexagons Belwo the Middle 3 Hexagons. Those 10 are in the form known as the Tetractys and is Very Important as Sacred Geometric Shape. Also there is the Ancient Egyptian saying "as above , so below"
The Pattern I discovered fits the Tetractys Concept Perfectly. A trinity in the Middle. 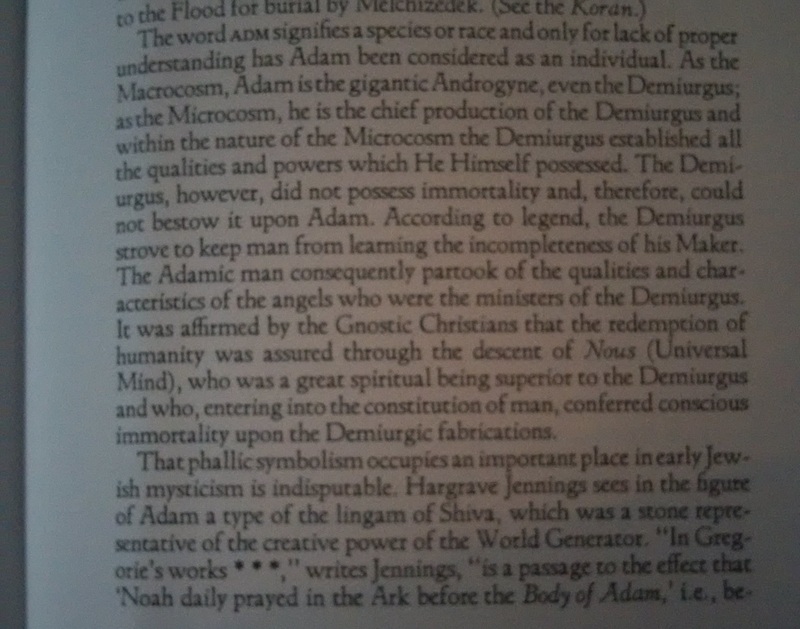 The pdf is of interest, I believe ADM has several meanings, 144, it also represents Aries. Aries Frequency Drop below 10? Each letter is used as building blocks, like atoms in a formula, to create a word which is but combination of letters-pictures-a short sentence. Take the word Adam or as written in Hebrew A-D-M, made up of 3 letters that we encountered earlier. As a three letter word it’s a name. A= aleph = el Peh=God speech/thought. D = de-a = idea, knowledge/information. M = mem = water, mother, from. The key is in the water. In CC the hexagram is always found in presence of water. The pipe is inserted at the vertex of the bottom triangle, which in some "arcana" is the vertex that belongs to the symbol of the Moon. Also, an hexagon was found on Saturn (https://en.wikipedia.org/wiki/Saturn%27s_hexagon). Saturn is also found in CC. Saturn's rings are possibly made by two magnetic fields with like-polarity squashed one against the other, which make it vibrate/sound at a certain fequency. In CC, by the Moon fountain, two moons are laid out opposed to each other by the water pool which holds the hexagram in its center. Water is the closest thing to ether - it is the earth's natural solvent. Possibly, the eyes can see because there's water in them, the brain can think because there's water in it, the cells can breathe and produce atp because there's water in them, and the earth has energy in its core/center because there's water on it, and so forth -- likewise the reason why other nearby planets don't have an active core could be because there is no water (in liquid state) on them. The key is in the water and in its diamagnetic properties. Check what Ken Wheeler has to say about diamagnetism (which I suspect to be connected to either the direction of the initial pulse of the vortex - like Ighina says - or the range of oscillation towards the negative pole of the master-vortex). Mr. Stride also said something about the flywheel being filled with water, and covered with a pyramid - check the drawings in the Grand Lodge, there's water in them too. The 10 cent coin has no relation to this. I would rather look at the US 10 cents postage stamp. It is located in Italy, Rome, and called "Porta Alchemica"
(https://en.wikipedia.org/wiki/Porta_Alchemica) and there's another called with the same name, though different shape, in a city called Rivodutri (http://www.prolocorivodutri.it/node/33) sporting interesting symbols. The inscriptions in latin are particularly significant and the longest one that can be read in the Italian page on Wikipedia (https://it.wikipedia.org/wiki/Porta_Alchemica) looks very easily like an encoded/cyphered message - wondering what the key is. Furthermore, I guess that the alchemical symbol (of Mercury, I guess) on the left side of the door is particularly significant because from a satellite view it's clear that the whole "Villa Palombara" (that is, this entire structure that the door is part of) is laid out on the map according to the lines of this alchemical symbol. It resembles the Monas Hieroglyphica of John Dee (https://en.wikipedia.org/wiki/Monas_Hieroglyphica). The point that EdL marked with the copper pipe in his hexagram statue, in the door is marked with another alchemical symbol or a combination thereof (upside-down, I guess - gold? Copper?). About the hexagram...it is very clear to me that the 2 energies (that is, positive/negative) generated by the Flywheel are not only symbolically represented as an hexagram. The two inverted triangles represent the actual geometry and constitution of these energies which follow the 2/3+1/3 rule (positive = 2/3 positive+1/3 negative, negative = 2/3 negative+1/3 positive -- see sacred maths and all). It is clear to me that the energies must be 'intercepted' by aligning iron bars (or perhaps other materials? copper?) with N/E/W/S directions, and at certain angles. Both the 2/3 must be shorted, while the 1/3 that runs in the south should be isolated, somehow. The gate in my opinion refers to a universal solvent at the top, achieved by the lower symbols. Here are my findings which all came about because of the admission sign. Ed's clues are subtle, but not overly complicated. I think it is easy to go off on esoteric tangents when we are searching for answers, but the real answer is often much simpler. One simple observation about his admission sign led me to an entire revelation.